From Our Field to Your Table. Flora’s Field kitchen is about handmade food using our farm fresh ingredients. Our goal is to create a healthy family meal with a sense of place. The original Flora Restaurant was in San Jose del Cabo. After 5 years in town, and the farm serving as the main provider for the restaurant, the owner decided she would rather bring the restaurant to the farm instead of the other way around. Flora’s Field Kitchen strives to only serve what we make, raise and grow. 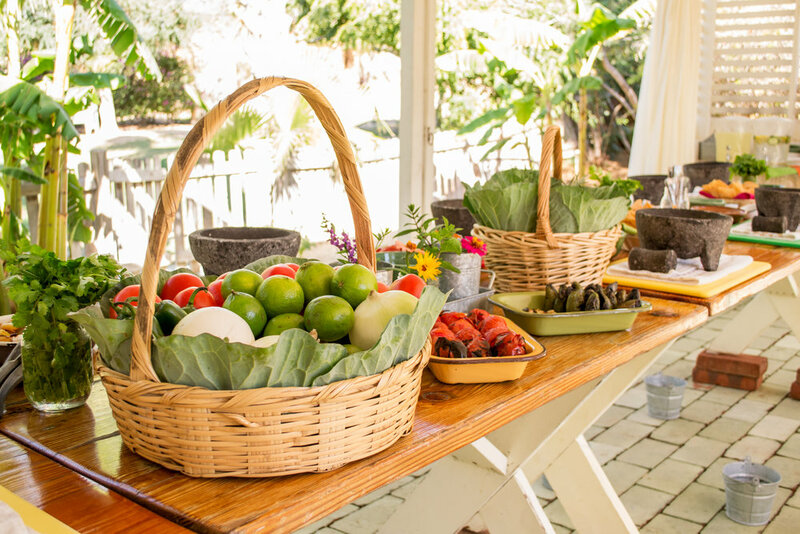 Award-winning Chef Tellez is Executive Chef of Flora Farms and excels in cultivating incredible dishes from organic ingredients grown at the Farm. Chef Tellez received culinary degrees from Kendall College for the Culinary Arts in Chicago, and Madeleine Kammen’s Professional Cooking School for American Chefs at Beringer Vineyards in the Napa Valley of California. The Farm Bar is a field-side gathering place for relaxation and celebration. The Farm bar is open to the field while at the same time framed by a structure of brick, metal and glass. Along with traditional cocktails, wine and beer from the Flora’s Bewery, on tap, the Farm Bar serves up a full-range of fruit and vegetable infused craft cocktails such as the heirloom carrot Farmarita, Flora Farm's spin on the traditional Margarita, and the Pelo de Perro, (hair of the dog) a Bloody Mary made with heirloom tomato water. At Flora's Field Kitchen we have a separate wood-fired oven that produces pizzas at “Mama’s Pizzeria”. We make 15 types of Neapolitan-style pizza, like the Fennel Sausage & Mozzarella, Farm Bacon with Farm Egg, Margarita with house made Mozzarella, and several amazing others. All of our house-made sorbets and ice-creams are made with milk from our ranch and cream base, with eggs from our farm and fresh vanilla. We have cajeta (a traditional goat milk caramel), corn, chocolate mint, carrot and banana sorbet, and other Mexican-style flavors like chocoflan, café con leche, coconut and Jamaica. Executive Pastry Chef Leslie Tellez oversees the creation of all farm desserts, as well as our house-made ice creams and sorbets.